The University of Melbourne is one of the city’s most popular sites for filming and photography. Our campuses are home to a unique range of indoor and outdoor locations. Many of these have been featured in local and international feature films, TV series, commercials, and documentaries. We recognise the important role that film and photography plays in the community and are dedicated to making our facilities available for filming and photography opportunities that align with our brand. Whether your project is an international feature film or locally based TV series, as long as your project is aligned with the University brand, we are happy to chat. A signed Location Agreement is required to access the campus and location fees may apply. Visit our How To page for more information. We support up and coming film makers and photographers. If your project is a component of your coursework, please contact us directly. VCA students must provide approval in writing from their VCA Screen Production Coordinator. University of Melbourne students and students from other institutions must also provide approval from their academic supervisor prior to organising any film shoot. More information for students can be found here. All media requests to film or photograph at the University should contact the Media Office. Non-commercial filming and photography for personal use is permitted on campus provided your visit causes no disruption to staff and students. If your project is, or has the potential to be, income generating, your work is not considered personal. Visit our How To page for more information. We only accept shoots for commercial advertising projects under exceptional circumstances and only if your project aligns with University strategic objectives and brand values. The picturesque grounds of the University of Melbourne are an ideal and popular location for wedding photography. Interested parties should apply for a permit or call Venue Management on 13 MELB (13 6352). Fees will be charged. The University has seven campus locations across Melbourne and rural Victoria. Each campus has a variety of unique architectural and landscape features and facilities. Our main campus at Parkville, established in 1860, features some of the most popular modern and historical locations for filming and photography. An episode for ‘Heston Week’, featuring legendary British chef Heston Blumenthal, was filmed in the iconic Underground Car Park. ABC Comedy Showroom's Ronny Chieng: International Student featured a range of well-known locations across the Parkville campus. 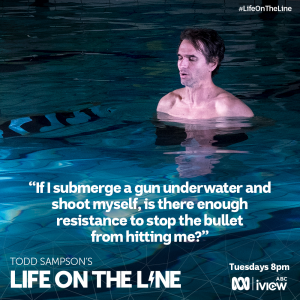 Todd Sampson is shot at close range by an AK-47, filmed at Melbourne University's, Beaurepaire Pool. 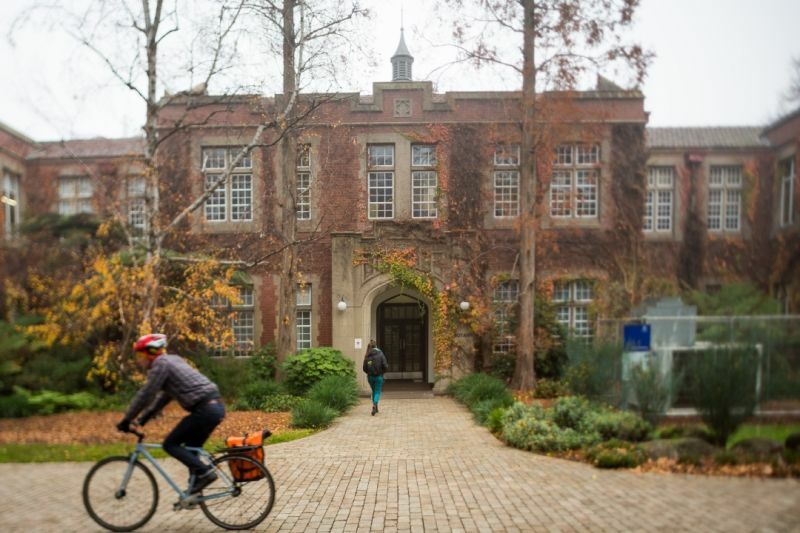 This Image Gallery provides an overview of popular locations that are available at the University of Melbourne. The campus grounds and buildings are extensive. Additional photographs and other locations are available upon request. To ensure you have an easy and efficient experience before, during and after your shoot, we want to provide you with as much information as possible. Visit our Resources page for all the information you will need about using the University of Melbourne as a location for your production. Before you complete any paperwork or come on campus, please submit a copy of the final script or storyboard to filming-info@unimelb.edu.au. is of reputational risk to the University in terms of inappropriate, explicit or derogatory subject matter or themes, or denotes incorrect University endorsement of a company or product. will impact on the day to day functioning of the University. When classes are in session, filming or photography is not allowed between 8am - 6pm weekdays (Monday – Friday). Permission to shoot on a weekday may be granted on a case by case basis. Contact us for more information, or view the University calendar. We have a range of locations available, from heritage listed buildings and gardens to contemporary architecture. Once you have a list of potential dates and locations, please contact us to schedule an on-site visit with our Filming Coordinator. discuss fees and specific requirements. Once you have a list of dates and locations, we will check availability and work with you to tailor an estimate based on your requirements. The estimate will include a breakdown of location fees, additional venue charges, parking and security requirements and any other University staffing charges. We can’t allow any shoot to begin, or any vehicle to enter campus until all paperwork has been finalised. Please do not assume your request is approved until you have submitted and signed all required forms and are given written approval from the University. On the day of the shoot, direct all enquiries to your Filming Coordinator. Your Filming Coordinator will be onsite to ensure adherence to University policies, respond to budgetary and contractual changes, and resolve any issues or concerns that may arise. Your shoot will also be allocated an Onsite Support Officer who will provide building access and information on building operation systems. For certain locations, a venue representative may also be required. At the end of your shoot, your Filming Coordinator and a representative from your production company will walk the site and make note of the condition. We will then send you a final invoice reflecting the detailed breakdown of the final charges within 30 days of your shoot. Complete the Application Form only when you have reviewed the How To and Resources pages, and have contacted us to discuss your project. Additional information for students applying to film or photograph at the University.